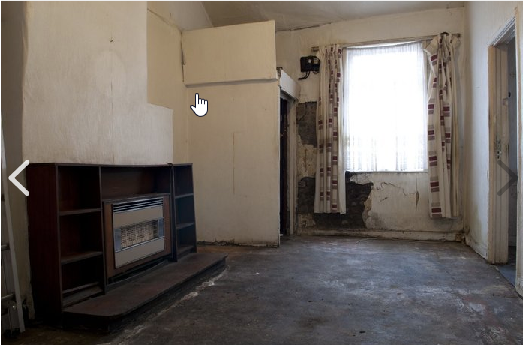 The worst value house in Ireland? €1,695,000 for 119m2 = €14,200 per m2. That is getting back to the CT high point for a pretty bland house with no garden or privacy to speak of down a slightly iffy lane-way. Bought for €460,500 on 23/07/2013 and got planning to demolish it, and now expect buyers to pay 900k for the pleasure of knocking it! Nice 94% increase if they can get it. 1 bed artisan terraced cottage with kitchen in a corridor and tiny rear courtyard accessed via the bathroom. Glasthule’s a nice spot and all but ffs. I love the whole paragraph describing the local schools, as if this is a potential family home. Luxury! I know those houses – they were built around the turn of the 20th c. without bathrooms or inside toilets, that’s an addition. The “storage shed plumbed for washing machine” would once have been the outside loo. As for it being a family home, believe it or not I know of families of ten that grew up in those houses in the days before indoor plumbing. My father grew up in a house like that. Nine of them altogether, two bedrooms, a small sitting room, a kitchenette and outdoor loo. They used to wash themselves using a hand basin and a face clothe. Uh, isn’t a blank canvas supposed to be ready to paint on? Looks like it needs lots of work to bring it to blank canvas status, on top of the €1k for each of its miniscule 330 sq ft. When they say “an opportunity not to be missed”, do they mean “here, catch this falling knife”? Just imagine being saddled with a mortgage of about 680pm on that tiny hovel for the next 40 years. Where are you getting €680/mo from? Cheapest rates are around 2.5% which would cost you €990/mo over 40 years assuming 90% mortgage. More realistically if we assume rates will average 4%, you take a 25 year term so you don’t have to work into old age, and Luan is right about the 30% increase … then you’re looking at €2k/mo for that piece of crap. I based it on my tracker rate , but yes 2K would be more realistic and scary when you realise that you’ve sent youself up for 25 years, Mountjoy isn’t that far away either. Not very nice is it? Pictures of 2 of the loo’s show them sandwiched in tight between sinks and shower enclosure. In a 4 bed sub 1000 sq ft house that’d be forgivable. But in a 3500 sq ft house? Beside light switches are located in such a way as to cause you to pull a muscle if operating them from your bed. And they seem to have limited the amount of wall sockets installed - forcing you into extension leads if your preferred layout doesn’t happen to align with theirs. I don’t think there’s been a lot of attention to detailing. On a house of this price? Even more of a chancer here – €900k, looks like the top half has been lopped off it, single storey flat roof. When you read to the end of the ad you realise it’s being sold as a site. Happen to know of one round the corner, smaller plot but two-storey, better views, walk-in condition, 50% bigger, that sold for the same price in last 6 months. what an ugly house !! That is grim. Seriously makes me wanna cry at what we are doing to people. Yeah! I look at my teenage children and just wonder how the hell they are going to be able to afford anywhere to live. I expect them to be staying “home” for a good many years. 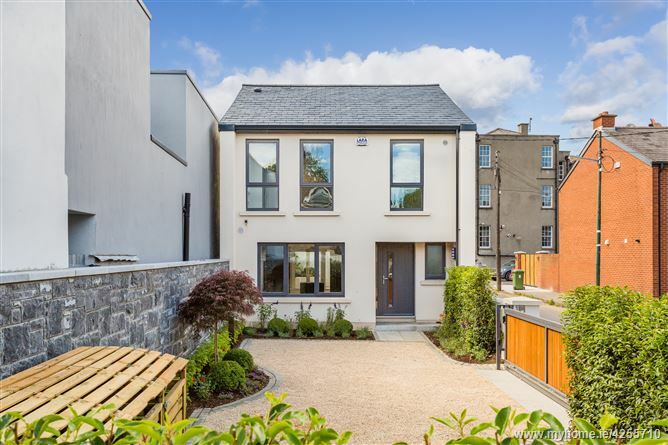 Thisis asking €7,500 psqm in Ranelagh. Not redbrick Ranelagh, an 80s C2 BER with two of the bedrooms too small to show in pictures. I would be astonished if this goes for the asking of €745,000. Down to €1.3m. So -€400,000. Looks like they have put down the Crack Pipe but are still hitting the bottle pretty hard at that price. It goes to show that you can mistime a market badly even when it still appears to be on the way up.